You need only look at the weekly user account leak from a popular web service or platform to know there’s a problem with security. Reusing passwords is the dumbest thing you can do right now, and the Mooltipass Mini is the answer to that problem. The Mooltipass originally began as a Developed on Hackaday series, and we log frequent sightings of the Multipass (maxi?) at security cons. The Mini is smaller, has exactly the same capability, and is completely unrepairable. It’s very cool, and if your email password is the same as your banking account passwords, you kind of need this yesterday. I know I mentioned this in last week’s links post, but [Arsenijs]’s Raspberry Pi project is growing by leaps and bounds. He already has more than 33 followers to this project (awesome!) and 3.3k views on his project page. Not only is it climbing in popularity, but this is also a great use for the Raspberry Pi. You don’t see projects like this come around very often. The Goliath is a quadcopter powered by a lawnmower engine. 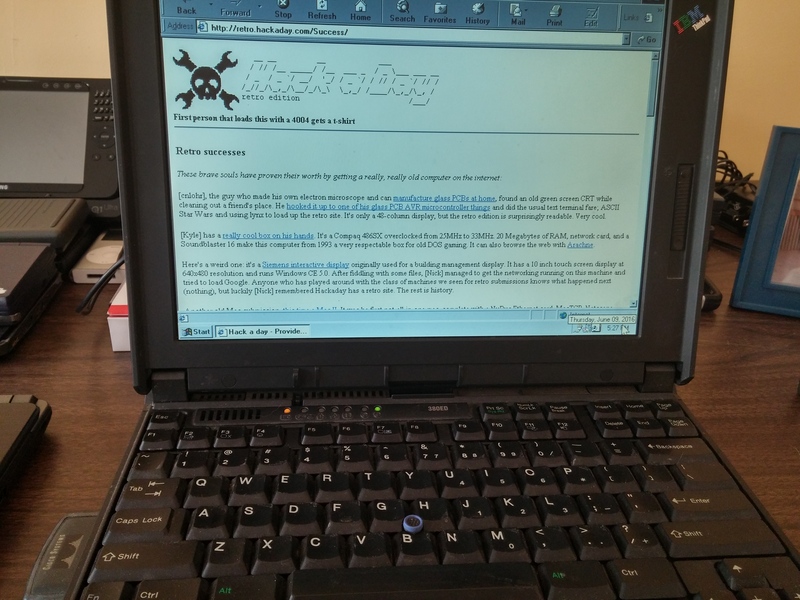 It was an entry in the first Hackaday Prize, but the project literally never got off the ground. There’s now a Mk. II version in the works. Goliath is getting a new frame made out of aluminum tube and rivets. There’s going to be ducts on the props, and this version might actually fly. You did know Hackaday has it’s own Hackaspace, right? Technically it’s the Supplyframe Design Lab, but there are still a few skull ‘n wrenches hidden in the rafters. The Design Lab is hosting an open house this week on June 23rd, and the design lab residencies will begin July 1st. If you have an idea for something you’d like to build, here’s the residency application. The LimeSDR is a powerful next generation software defined radio that’s currently on CrowdSupply The crowdfunding campaign ends in just a few days. It’s a very impressive tool, able to send and receive anything from 100 kHz to 3.8 GHz. Last week one of our writers posted a review on the Monoprice MP Select Mini 3D printer. This printer is becoming stupidly popular, and Monoprice has depleted their inventory twice since then. I’ve been watching the product page for this printer for a while now, and here’s what happens: 1) Printer is out of stock, with an ETA of about a month in the future. 2) Printer is still out of stock, ETA is a few days away. 3) Monoprice has this printer in stock. This cycle seems to repeat every week or so. Arduino Raycasting. When you think of raycasting, you probably think about Wolfenstein 3D, or other barely 3D games. You don’t need a powerful CPU like a 386 for raycasting – you can do it on an Arduino. The display is a 32×16 matrix of LEDs, control is through a Wii Nunchuck, and yes, head-bobbing is implemented. Here’s a video. The Navy is doing some crazy stuff out in China Lake. They were planning to test something out that could potentially make GPS unusable from San Diego to Las Vegas to San Francisco. Those plans were cancelled for ‘internal’ reasons. They will be testing something in Indiana shortly, though. What are they doing? Who knows. That’s what idle speculation in the comments section is for. 3D Hubs, the distributed ‘3D printing service’ thing, now has 30,000 machines distributed around the globe. They also put together the definitive guide to 3D printing recently. For just about everyone reading this, a ‘introduction to 3D printing’ is old news, but this is a very good guide for telling your weird aunt what you’re building in the basement. Forward this one to your family on Facebook. This one is amazing. Over on Hackaday.io, [Arsenijs] is working on a Raspberry Pi project. It uses a Raspberry Pi, and several accessories and components to make this Raspberry Pi project work. This Raspberry Pi project is already getting far more than the usual number of likes and follows, making this one of the most interesting Raspberry Pi projects in recent memory. Moog is re-releasing the Minimoog, the original Moog synth from 1970. That’s cool, but what about a DIY Minimoog? That’s what [Scott Rider] is doing with the Crowminius Analog Music Synthesizer on Kickstarter. It’s an analog synth that’s more or less a Minimoog with MIDI, and one of the Kickstarter rewards is a bare PCB. The future is dancing robots, so here’s a servo-driven Stewart platform that is sure to bring on the robot apocalypse.